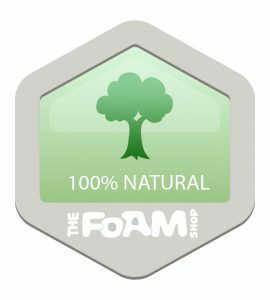 At The Foam Shop, it is our mission to make you more comfortable – and your mattress is a great place to start. Below you will find our leading mattress designs that have been providing our customers with a great night’s sleep for the past 40 years. As you browse our mattresses, keep an eye out for our Comfort Icons. Each one represents an important feature available in our foam beds! 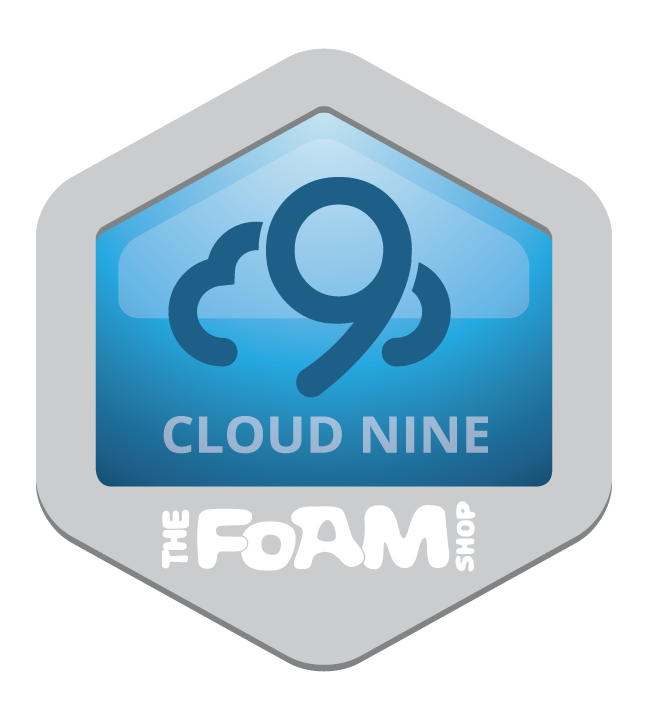 This icon indicates the addition of our signature Cloud 9 Memory foam. 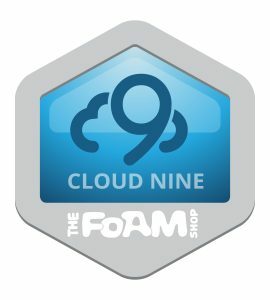 Cloud 9 memory foam offers industry leading pressure relief, transforming any mattress into the ultimate comfort experience. Its responsive surface is hospital-proven and truly feels like floating on Cloud 9. Read more about our True-Visco memory foams here. 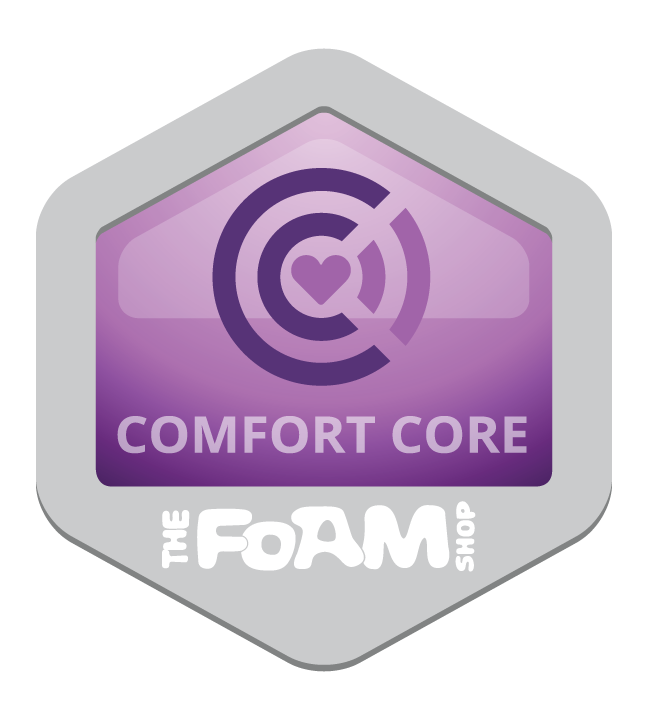 The Comfort Core is our custom engineered five zone core that increases both the comfort and performance of the mattress by increasing the airflow, allowing for better contouring, and by reinforcing your sleep posture. 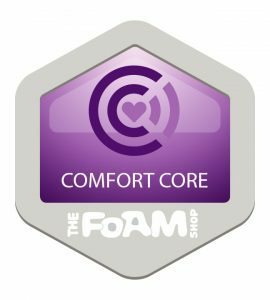 The comfort core promotes three main comfort zones: The Full Flow Venting Zone, The Comfort Alignment Zone, and the Lumbar Support Zone. These three zones work in harmony to create the ultimate experience in comfort and sleep posture. Check out the Comfort Core in our Serenity Mattress! 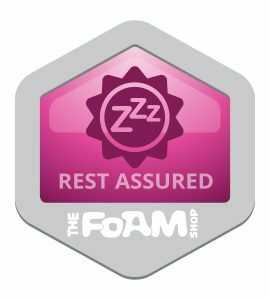 All of our mattresses at The Foam Shop are designed to provide the longest lasting, and most comfortable sleep of your life. 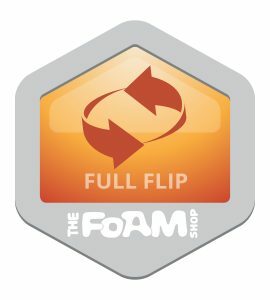 To achieve that goal, we have designed every mattress we sell to be fully flip-able, instantly doubling the longevity, and comfort lifespan of your mattress. Non-flip mattresses just can’t keep up with our dual-sided performance. Every time you flip your mattress you have access to a fresh new comfort experience, and add years of life to your comfort investment. Our Harmony Natural line of mattresses and toppers are 100% natural from top to bottom. Natural foams come in many different qualities and purity ratios – from 50/50 blends to 70/30 synthetic hybrids. The Harmony Natural mattress has no added synthetic components, and is not combined with any other layers of synthetic foams. It is 100% natural from top to bottom, giving you the purest (and most comfortable!) sleep of your life. 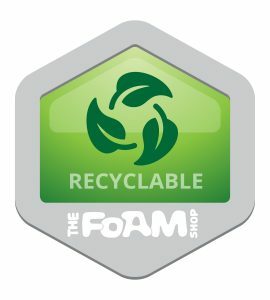 All of the mattresses we sell here at The Foam Shop are fully recyclable at the end of their long life. To make it even easier on our customers, we can provide this recycling service free of cost. 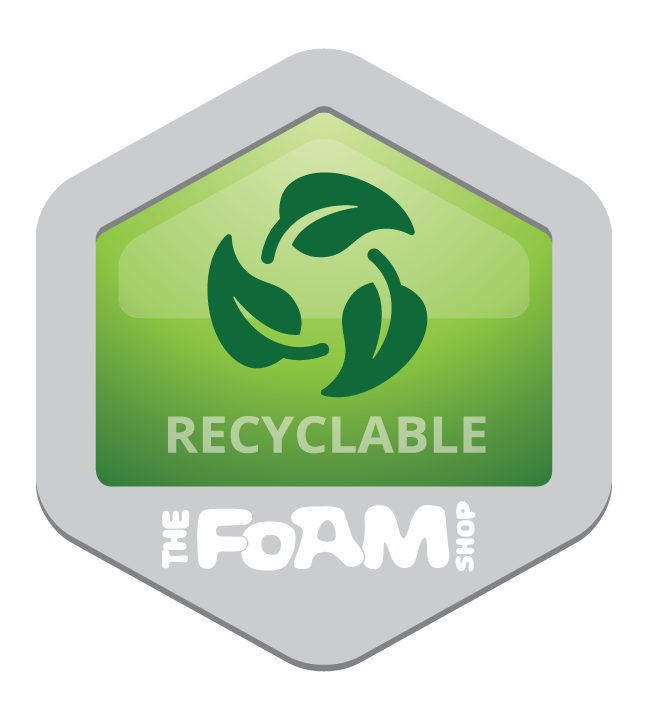 Just drop off your foam mattress at any of our stores and we will take care of the recycling for you. 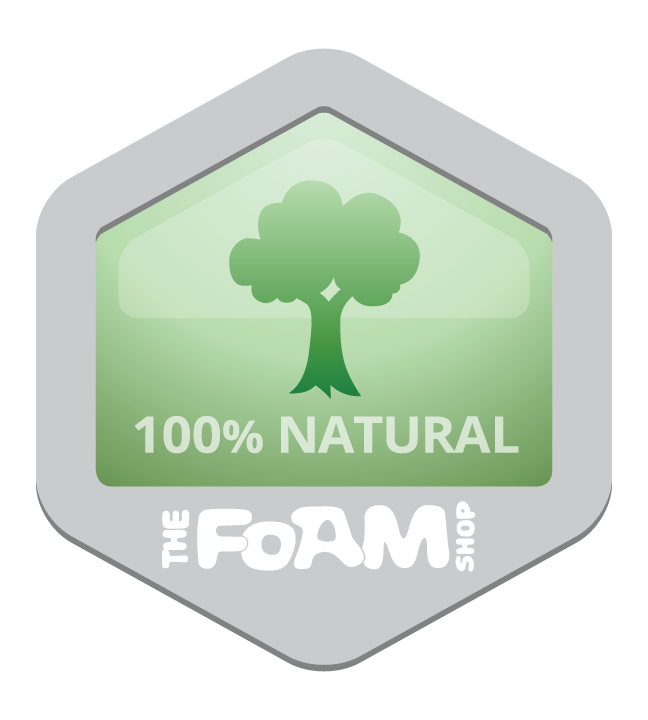 Choosing a mattress from The Foam Shop is a choice to keep mattresses out of our landfills. 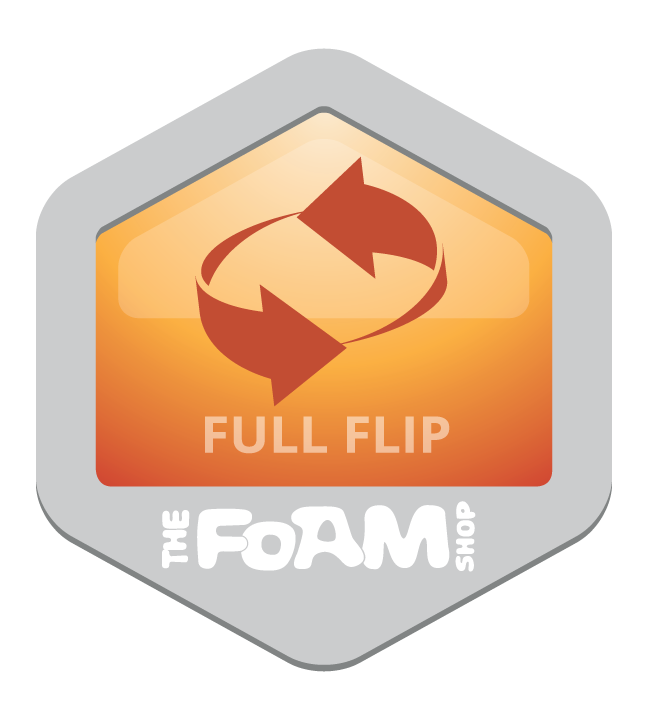 At The Foam Shop, we stand behind the quality and longevity of our foams. 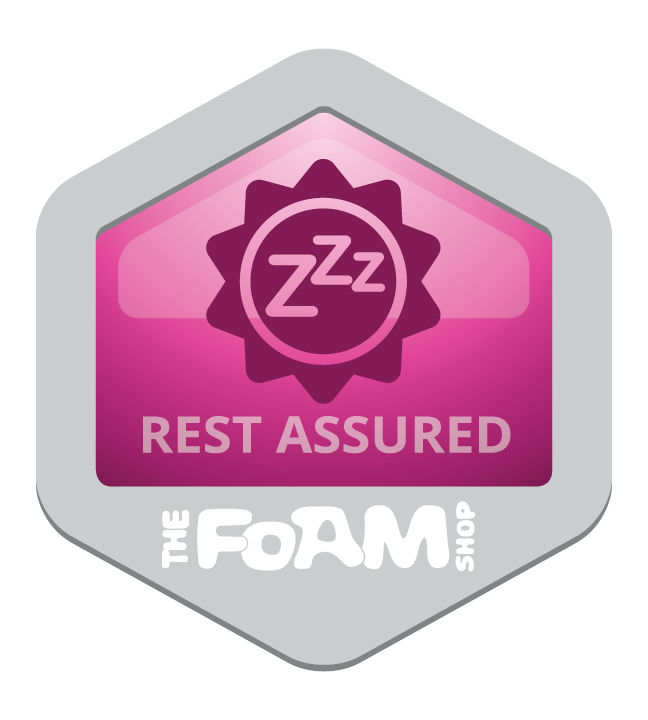 Every mattress we sell is automatically covered by our Rest Assured Warranty, there is no extra cost. The Rest Assured Warranty protects you from any manufacturing defects in material. More simply, this means you are guaranteed to get a high quality, top performing mattress that will last you for the years to come.